The Boat Garden. Update. 25th March 2018. Casper. 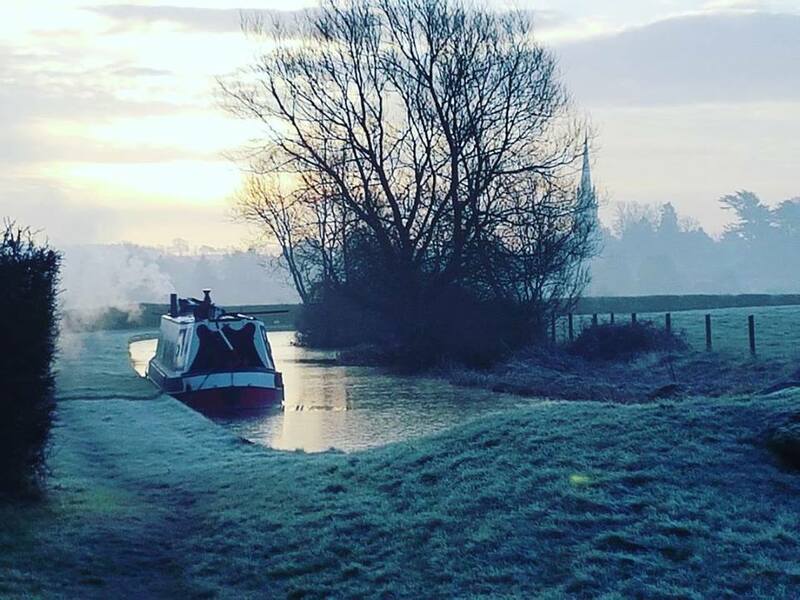 One of many icy mornings we had on the Oxford Canal. The Beasts from the East have scarpered back from whence they came and spring is flouncing about in the bedroom, batting her eyelashes. The time to sow seeds is imminent. I generally hold off sowing annuals until April. I’m not a fan of this rush to get things sown, it usually ends up with weak seedlings that go wonky in later life….a bit like those young beauty queens in America, the ones with pushy mothers. I sowed my sweet peas today. I will sow my annuals in early April in the same way. It is so simple and the mice and slugs can’t get at them….neither can Flash. However….I have sown some sweet peas. I sowed up a couple of buckets several weeks ago and they survived being outside with the beasties. They are only a couple of inches tall. This morning I sowed five pots of each variety (seven) that I have in the Higgledy Shop this season. 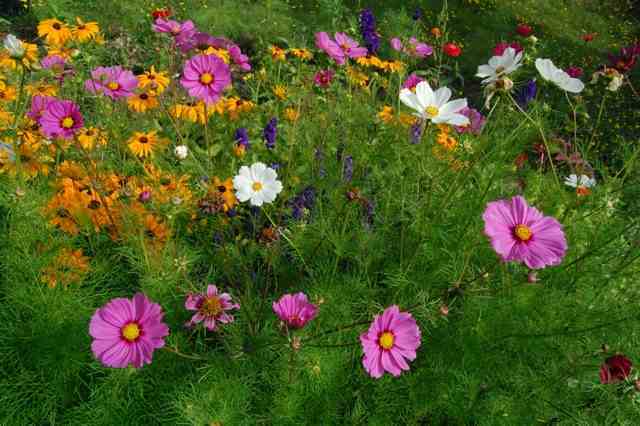 Cosmos Sensation (Pink) & Rudbeckia Marmalade are both being grown on the roof this year. 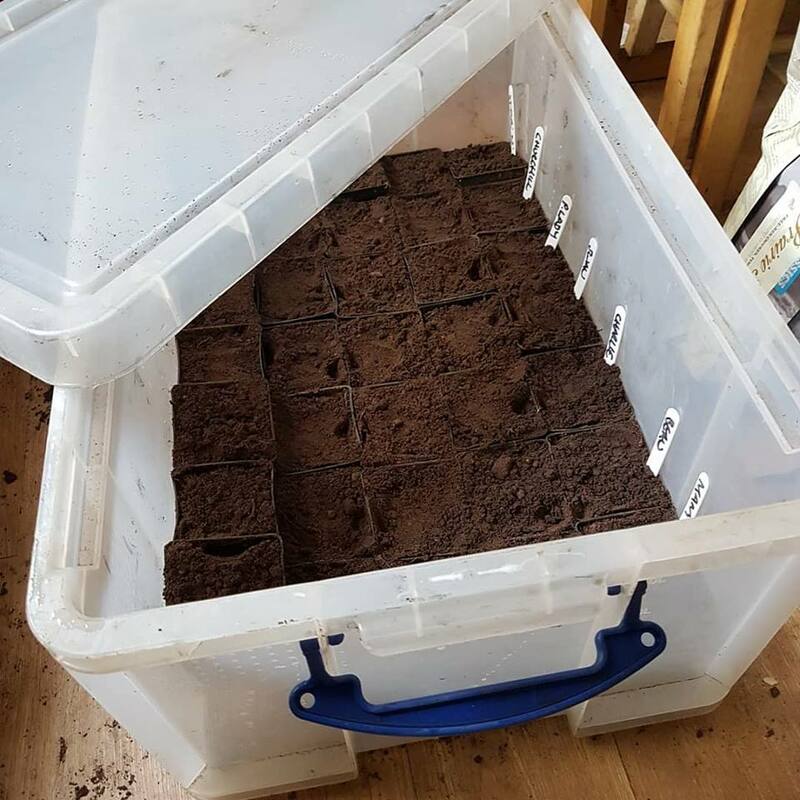 I sowed two seeds in each pot and put them all in my storage box mini greenhouse. This will stay inside the boat where it is super toasty until the little blighters have germinated. Once they have germinated it is important they get put straight up onto the roof into the light and the cooler conditions. After a couple of weeks or three I shall pot them up in the builder’s buckets. I have been mulling over the choice of annual flowers for my boaty cut flower patch. I have chosen ten certainties. Some chosen for their robustness, namely Calendula, Daucus, Sunflowers (Pinched) and Cosmos (Willowy but yields to the wind). Other may be challenging to grow on the boat….Nicotiana, Cornflowers and Statice….but then…hey…..that’s the kind of maverick, rock n roll flower grower that I am. To infinity and beyond! 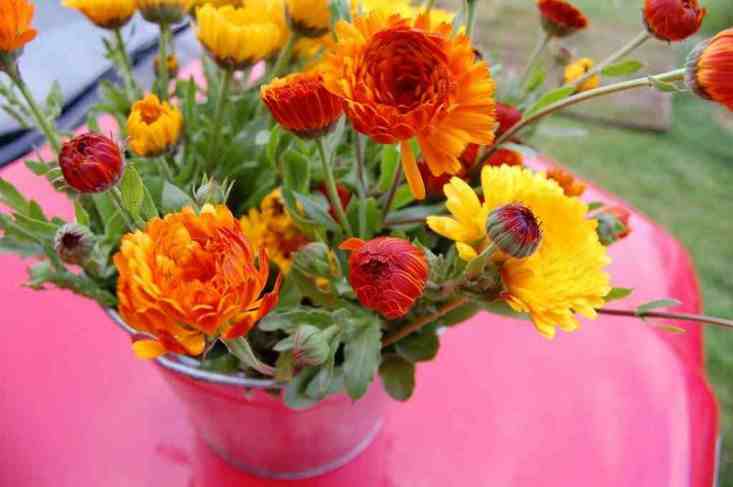 Calendula ‘Indian Prince’….handsome beastie…easy to grow too. Here is my list. I have made this into a collection which you buy in the shop for 20% discount. Boat Cutting Patch. Sowing Sweet Peas. The Boat Garden Update. Sunday 15th April.